Bring to existence an exhibition stand designed by a third party. This included engineering drawings, project manage the procurement, manufacturing and on-site erection and post event strike of the show stand for the client. 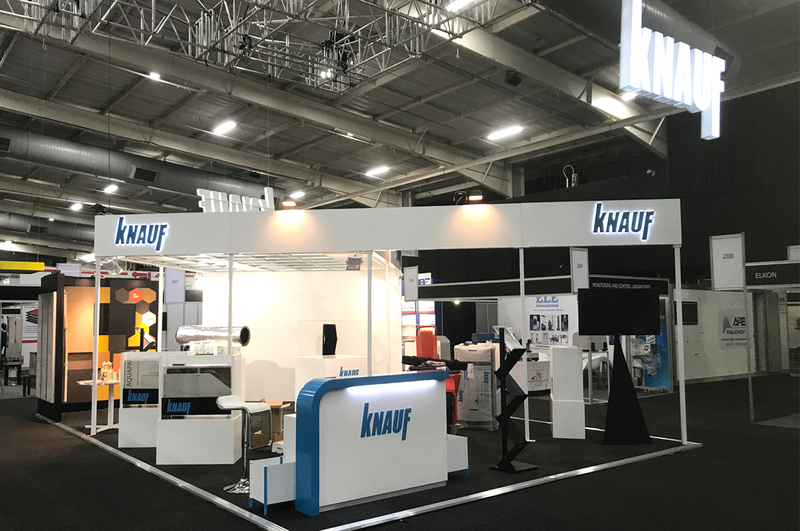 Knauf Insulation is an international company with a specialist insulation and light construction product offering. The company aimed to cement its local presence and chose the Totally Concrete Exhibition hosted at Gallagher Convention Centre in Midrand from 23-24 May 2017 as their platform to do so. A beautiful exhibition stand was designed by a third party who was unable to see the project through at the last minute. Project Room was appointed 2 weeks before the commencement of the exhibition to bring the design to life for the client. The scope of work included the interpretation of renderings in order to produce manufacturing drawings based on the original design. The design included a raised floor to conceal power supplies to various electronic equipment on display. Specialist overhead rigging was employed to suspend 5 large overhead displays and illuminated custom signage. 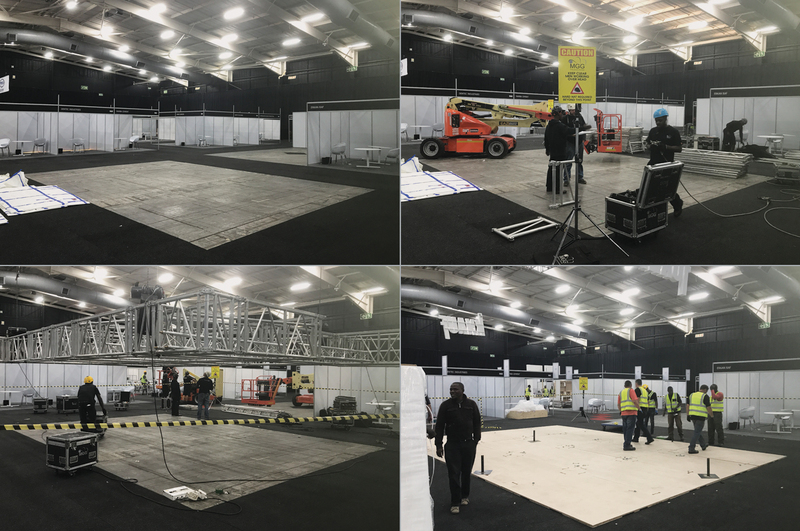 Project Room managed the contractors, logistics, setup and maintenance of the stand on behalf of the client. 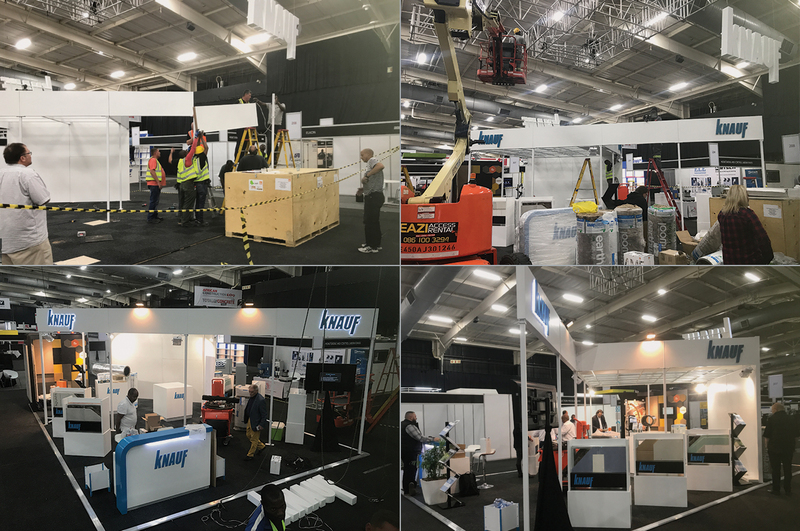 We also handled the engineering sign-off and electrical compliance to allow the client to focus on the reason they chose to participate in the exhibition, which is product marketing.